Take on-call shifts and respond in-person to area hospitals and law enforcement centers, provide support and resources to survivors of sexual assault. Available shifts are 5pm until 8am the next morning Monday-Friday, on Saturdays and Sundays shifts are from 8am until 8am the following day, and occasionally, 8am-5pm Monday through Friday. 30 hour training is required and will be offered by Riverview Center. 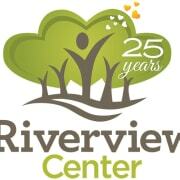 To see when future trainings are offered, please reach out to the Volunteer Coordinator by email, abbymc@riverviewcenter.org. Must complete a 30 hour victim counselor training.